You know we love unit studies if you are a frequent reader of our blog. Well right now one of our favorite unit study companies Unit Studies By Amanda Bennett is having a great $ALE! 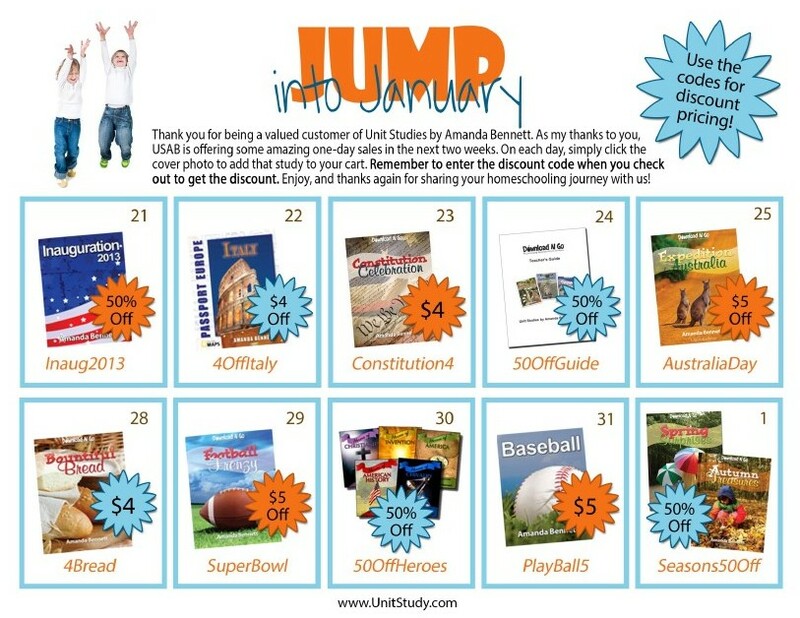 Each day for the next week and a half a different unit study will be discounted. See the photo below for the products and discount codes then click here to purchase just enter the correct code during checkout!